Taking a step back, though, it is mildly interesting to note the overall darkness at the heart of comic book movies. DC’s Synder-verse has gotten the most attention of course, but it doesn’t take too much analysis of Avengers: Infinity War to assert that a film ending in unmitigated tragedy isn’t a particularly happy-go-lucky affair. Note: The first half of this review is spoiler-free, and the ‘More Thoughts’ section is full of spoilers! As an adult who still wants intellectually and emotionally engaging entertainment (*especially* when it’s wearing tights), I have zero problem with this trend. Nonetheless, it reflects a similar challenge comic books have faced for decades, trying desperately to justify its artistic bonafides at the expense of the absurd fun that made it a kid-friendly medium in the first place. This challenge is so pronounced today that Marvel Comics actually gave *another comic book publisher* (IDW) the rights to publish its all-ages lineup of comics. So no, I don’t want the comics media juggernaut to solely embrace children – my two-year old’s tastes and my own are *close* but not exact – but it’s an open space that should also be filled. DC’s Shazam is a wonderful step in that direction, and may well be the first truly all ages live-action superhero movie this decade. Intriguingly, the superhero franchise most in lockstep with Shazam is likely Marvel’s Ant-Man & The Wasp, or Pixar’s Incredibles. These are family first features, and if nothing else, Shazam taps into the heart of family dynamics with laudable sincerity. If this feels like a tonal bout of identity crisis from the house that built Batman v Superman, there’s some truth there (Aquaman signaled a clear shift in vision), but it’s also a reflection of the character Billy Batson, and the most sensible way to introduce this corner of DC Comics magic. While I can picture a DC shared universe that wove Captain Marvel Shazam into the mature struggles of the Justice League, I also think Kingdom Come-ing the character would have been a tremendous mistake as a debut. Shazam is a light-hearted teenage boy fantasy not because DC is waving the white flag on the great MCU war (I mean have you all seen the Joker trailer? ), but because Captain Marvel comics have been full of mischievous madcap adventure since CC Beck, Otto Binder and the rest made it one of the most interesting books of the Golden Age! DC’s Captain Marvel – and listen, I don’t have the conviction to refuse to call the character Shazam or anything (I actually like that name, better! ), I’m just used to calling the Big Red Cheese Captain Marvel – is a character I’ve only sporadically connected with on the page. Elements that have appealed though – from the Golden Age to JLI to Multiversity – lean in to three things: Family, magic, and goofy adventure. When those notes hit in sync, this corner of the DC-verse can shine, and that’s exactly what happens in Shazam. Fans of Chuck around the world can confidently continue praising the charm of Zachary Levi, as the beefed up actor is perfectly suited to convey the mind of a boy inside the body of a superhero adult man. There’s a degree of difficulty in crafting genuine all ages entertainment that deserves credit as well. Shazam is the rare type of movie that feels like a respectable choice for a foster family as diverse as Billy’s. There are creepy moments as the Seven Deadly Sins strive towards freedom, but it’s a “horror” more aligned to face-melting in Indiana Jones than anything more serious. Likewise, I connected with this movie as a parent, as a brother, and as a connoisseur of ‘your finest beer’ who simply refuses to grow up. As probably the world’s biggest Justice League fan, I do fully acknowledge that Shazam is a tighter, more successful end-to-end film. Aquaman – I, uh, still haven’t seen it. The Geoff Johns run on “New 52” Shazam never connected with me, and I’d argue the early takes on Billy Batson were downright awful. But, the addition of a diverse foster Marvel family is a great idea, and one that clearly improves the Shazam film. Johns loves expanding established mythos (see also: Green Lantern, Aquaman), and anything that gives Darla and Freddy superpowers is a clear and present win. Shazam Comics To Read Next! Speaking of Johns, the most recent Shazam comic book series (out of the “New 52” and into the “DC Rebirth” era) is an impressively direct post-movie timeline. No joke, Shazam #1 by Johns and artist Dale Eaglesham picks up a short while after the movie ends, complete with the same foster family dynamics (and even the same “Sparklefingers” joke).It’s cool that I can recommend fans of the movie check out this series at their local comic book shop, but it’s also maddening to me that DC publishing’s timing doesn’t have the first trade (aka graphic novel) in print in time to purchase! I care less about their actual book market profits than I do about the ease of integrating new readers into comics. Movie release dates are public knowledge – I’ll never get how DC and Marvel publishing seem totally baffled and unprepared for their arrival. Rant aside, if you’re looking for good Shazam comics, here’s the Comic Book Herald guide to the best starting places. Through a blur of anxious twitches, rapid-fire jokes and half-truths, Freddy Freeman stands out as the absolute pride of the Marvel family. I really love Dr. Sivana in his most pure mad scientist form, and unfortunately, Mark Strong’s casting and performance are not that. Strong works as a super villain with a barely positive value over replacement player, but that’s only by comparison to duds like Steppenwolf in Justice League. What bothers me about this is that the strange little mad scientist known as Sivana is inherently quirky and totally different from what we’ve seen in superhero movies. I genuinely don’t get why you’d move away from that – especially considering a strong, magically infused Sivana basically makes him Black Adam. 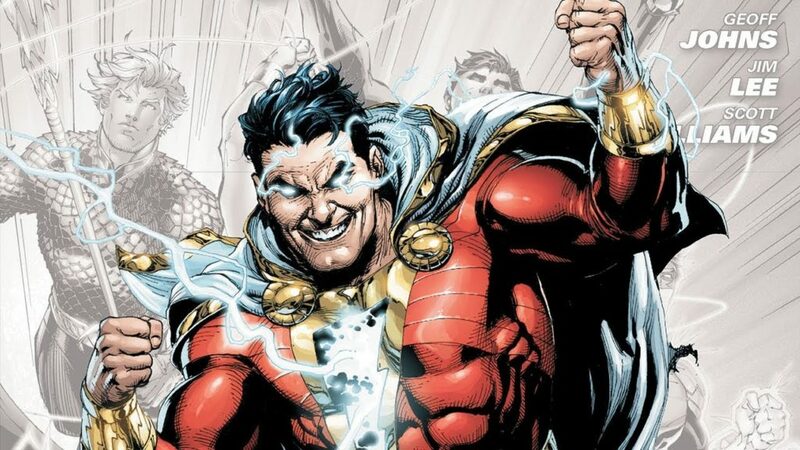 As a character, Shazam definitely benefits from the absence of expectations, with a scattered and infrequent comic book history. If you like going “Inside Baseball” on comics, the history of DC’s Captain Marvel is a tangled saga well worth investigating, but if you’re just here for the stories, the end result is a character that really hasn’t held the spotlight for most of the 2000’s. I’d argue this helps a movie version immensely. As we’ve seen with Superman and Batman over and over, all varieties of fans have expectations of what these characters can, would, and should do in a whole host of situations. With Shazam, the filmmakers get to define these parameters largely free of established interference. While it’s inarguably a tighter more accessible origin without weaving in the fabric of the DC Universe, it is a strange regression to enter a DC movie where you just know the connections and world-building are cameos and in-jokes at most. The post 2008 Iron Man landscape of superhero cinema has built the expectation that these movies are connected, no matter how slight, and it really does feel like a blast from the past to watch one where that’s just not the case. 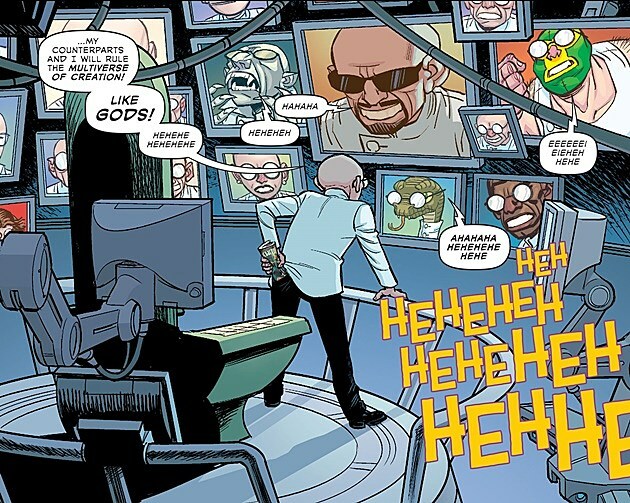 A Mister Mind easter egg is not a feature film item I’m likely to miss, so naturally I was extremely excited about the odd villain’s post-credits introduction. I can’t wait to see Shazam 2 get truly weird with one of the strangest baddies in the DC Universe! Similarly, for my money, the weirder and goofier the magic of this world can get, the better off the franchise will be. We got a brief glimpse of that with the Shazam family opening doorways to other realms, viewing such classics as angry Alligators playing poker. I’d love a sequel that goes all in on the wild potential of the world’s magic, spending less time in Philadelphia (we’ve got Creed for that) and as much time as possible in and around the Rock of Eternity! Thanos annihilated half of all life in the universe, Zod destroyed vast swaths of Metropolis, and Harley condemned pants everywhere. Still, nothing in any superhero movie has riled me up like Billy’s mom. This is definitely one of those plot points that hits harder now that I’m a parent, and although I saw it coming a mile away, I’m still furious with Ms. Batson. That reunion damn near broke my heart. If DC does have plans to build out the Shazam shared universe, I hope it’s more in conjunction with the likes of Justice League Dark (or more to my tastes, Shadowpact ), than the tried and true Justice League. Again, I like Billy Batson when he’s really leaning in to the magical adventure elements his character’s suited for. There are examples of crossovers with Superman that work well, but when you pair the two on the Justice League together, there’s also a lot of overlap. What do you think? Did Shazam work as a movie? Do what feels right to you in the comments. 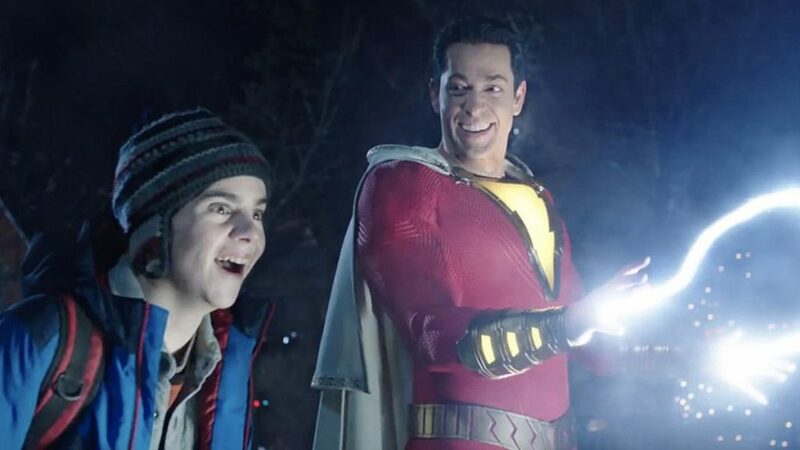 DC’s Shazam is a wonderful step in the direction of supers for the whole family, and may well be the first truly all ages live-action superhero movie this decade.